February has been such a busy month, but it's time to do a little celebrating. GlamAmor has just turned four! Though four years is a relatively long time online--for perspective, Twitter was formed only eight years ago--it hardly seems long enough to capture all that has happened with GlamAmor. This is especially true of the past year. GlamAmor just passed its one millionth unique visitor on the site and has social media that extends from its own YouTube Channel to pages on Facebook, Twitter, Pinterest, Tumblr, Google+, and Instagram. Offline, I've continued to be a guest speaker for presentations on THE STYLE ESSENTIALS: HISTORY OF FASHION IN FILM 1920s-1970s and share pieces from the carefully curated GlamAmor vintage study collection to show the impact of costume design on fashion. These presentations expanded into a full blown college course on the subject at Woodbury University (now in the midst of its second semester!) as well as a successful webinar series that's been embraced by film and fashion fans alike. Over the past year, I was also honored to be a part of some amazing events, including becoming a published expert for Christie's Inc. (for their auction of Elizabeth Taylor's first wedding gown) and a host for Turner Classic Movies at their 2013 TCM Classic Film Festival. There's so much more ahead, including now working on the book for THE STYLE ESSENTIALS and being both a presenter and jury member at the International Fashion Film Awards in La Jolla this summer. 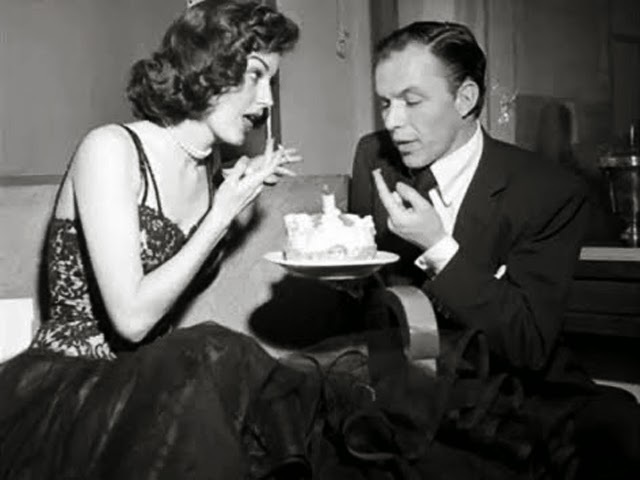 Since I just celebrated Ava Gardner's great style in The Killers (1946), I thought it would be fun to have her and then husband Frank Sinatra help blow out the candles of GlamAmor's birthday cake. A huge THANK YOU to all who continue to support me and GlamAmor. It thrills me that so many love the style of classic cinema and understand the importance of preserving its history. I'm looking forward to the next year. As Frank sings so well, the best is yet to come! Congrats on four years – and here's to many more! And congrats on one million + visitors! Of course, I am not at all surprised. Greetings from cold and snowy New York! I've been enjoying reading your blog these last several months and am amazed at how much you've accomplished in such a relatively short time online. 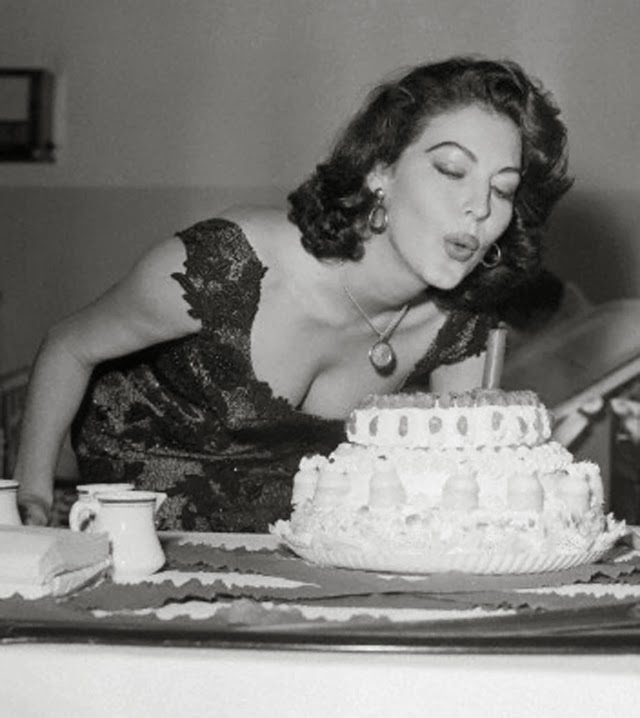 Happy Birthday to your excellent efforts in keeping the appreciation for this American art form of Hollywood Costume Design very much alive. I hope to see more of your work in the future (especially with TCM) and looking forward to reading your book when it is published. Also, I especially enjoy reading about the various L.A. historical landmarks that you visit = more, please...thanks for being such an inspiration. Onward and upward! Thanks again for your kind words and celebration!